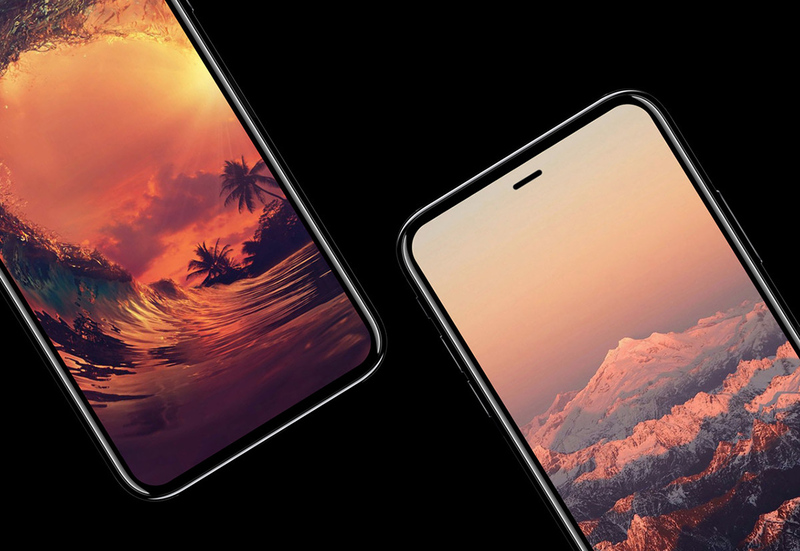 The United States Patent & Trademark Office (USPTO) on Tuesday awarded Apple patents for a bezel-less screen, a depth mapping system and an always-on Touch ID fingerprint sensor integrated into the display, which are the three key features expected from iPhone 8. 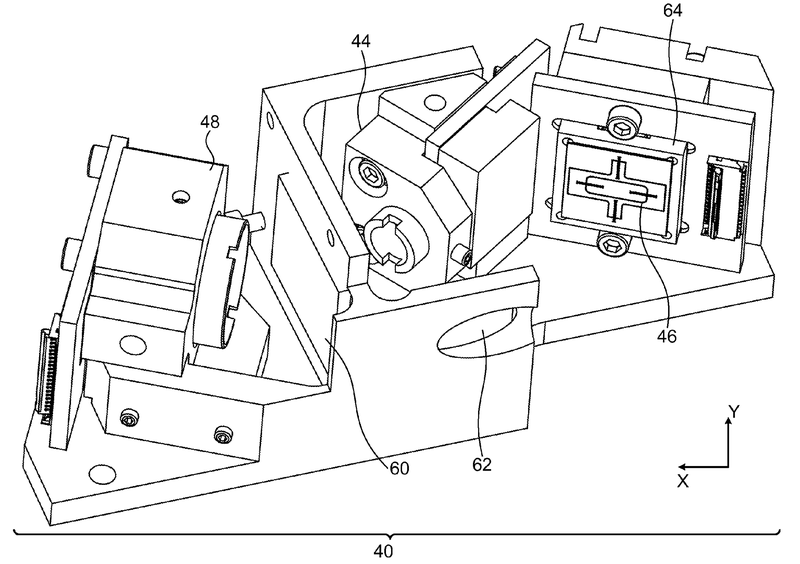 The patents are part of a series of 56 newly granted patents for Apple today, according to PatentlyApple. Titled ”Reducing the border area of a device”, the U.S. Patent No. 9,652,096 covers the process for bending the edges of a touch sensor panel and a display panel to help reduce the non-interactive border area of a mobile device. The patent abstract explains that an electronic device could feature a flexible panel comprised of a flat surface, “an active area” and one or more bent borders “contiguous with and extending from the active area of the substantially flat surface”. The panel can be folded back against the back surface. 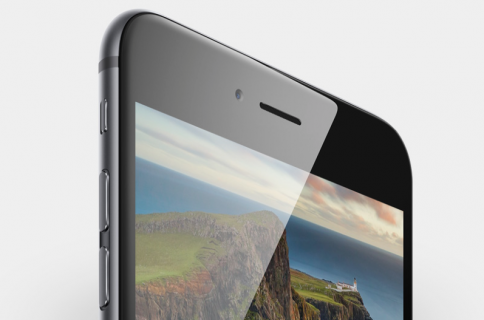 This helps extend the active touch area closer to the edges, thereby reducing the overall width of a device. 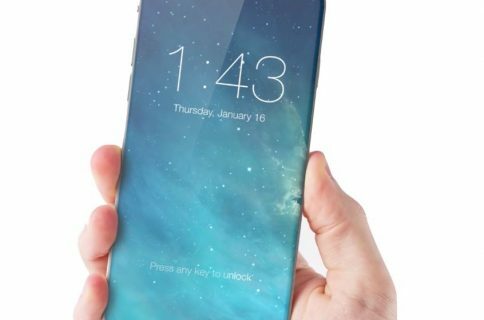 The patent was filed for in July 2014 and names Apple engineer Steven Martisauskas as its inventor. The U.S. Patent No. 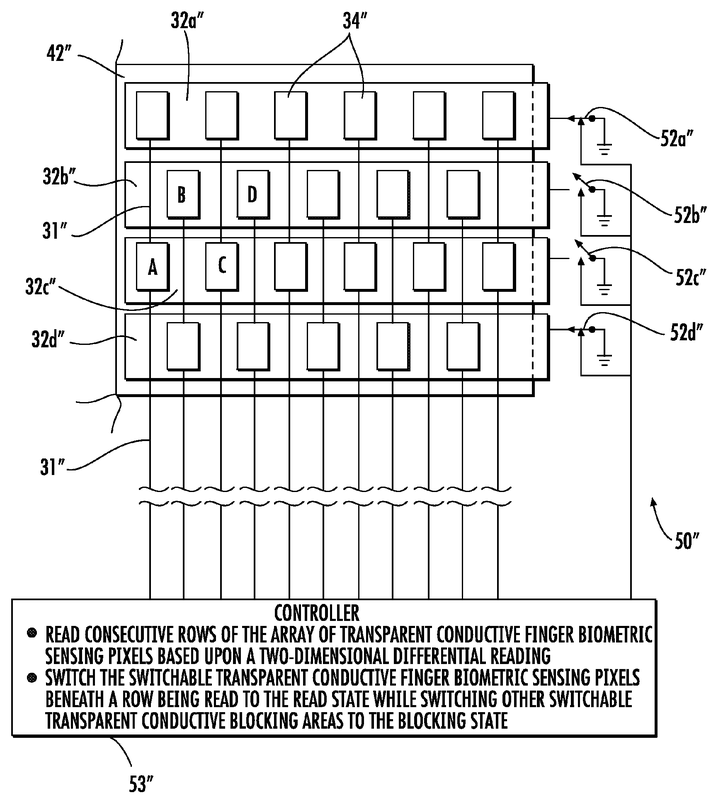 9,652,066 for an “Electronic device including finger biometric sensor including transparent conductive blocking areas carried by a touch display and related methods” covers moving Apple’s Touch ID from the Home button to beneath the display itself. The system would use at least one transparent conductive layer beneath a touch display to define “touch sensing pixels”. A finger biometric sensing layer, which includes an array of transparent conductive finger biometric sensing pixels, is capacitively coupled to the at least one transparent conductive layer of the display. Apple also mentions switchable transparent conductive blocking areas between the finger biometric sensing layer and at least one transparent conductive layer of the touch display. These areas could alternate between blocking and reading states. 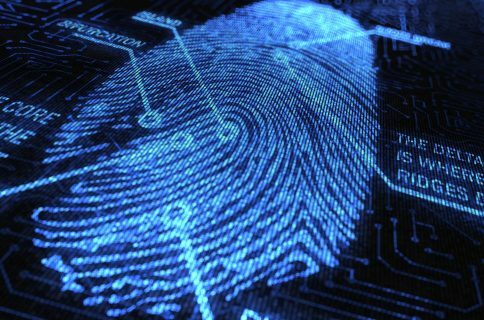 Apple argues that biometric authentication should occur automatically as the user is interacting with the device, not require them to scan their finger in a separate step which would force them to switch between tasks to authenticate themselves. In other words, Apple’s proposed solution would allow auto-authentication because your iPhone could read the fingerprint that’s already on the touchscreen, providing a more seamless experience. 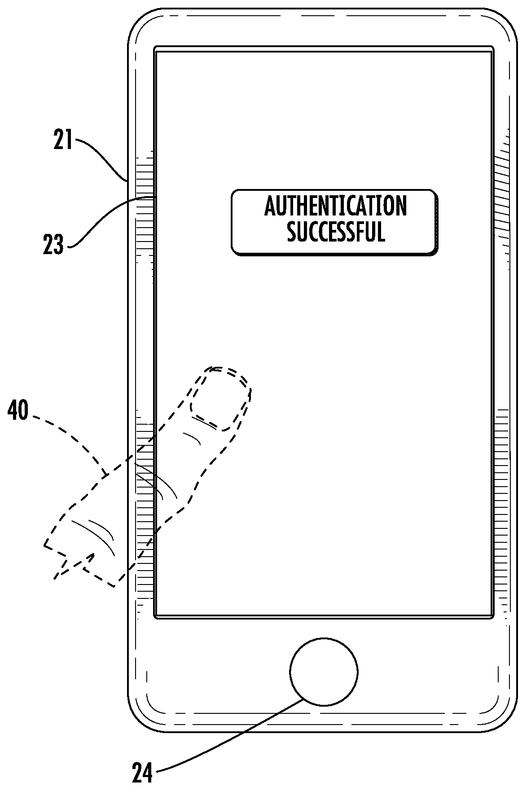 According to the patent’s description, an in-screen Touch ID may support iPhone, iPad and MacBook devices. The late-2016 MacBook Pro is the first Apple computer to come with Touch ID, found at the rightmost side of its Touch Bar OLED display. This patent was first filed for in January 2015 and lists Apple engineer Dale Setlak as its inventor. And lastly, we have the U.S. Patent No. 9,651,417 for a “Scanning depth engine” which covers optical 3D mapping associated with a Kinect-like device and details methods and devices for projection and capture of optical radiation. The solution requires a bespoke transmitter and a scanner. The job of the transmitter is emitting a beam comprising pulses of light. The scanner, basically a micro-electro-mechanical systems (MEMS) device then uses micro mirrors, receives the light reflected from the scene. Using time of flight calculations, the system is able to generate 3D models of any objects in a volume of interest, based on the calculated distance of the individual points in the scene from the scanner. “A processor is coupled to control the scanner so as to cause the beam to scan over a selected window within the scan range and to process the output of the receiver so as to generate a 3D map of a part of the scene that is within the selected window,” reads the patent abstract. The scanner can be configured to scan the reflected light within a predefined scan range, over a scene, adds the company. While this particular invention could power iPhone 8’s rumored 3D scanning and mapping features, Apple specifically mentions a Kinect-like accessory that could be also integrated into a next-generation Apple TV to permit users to interact with games or exercise videos played. This patent was filed for in February 2013 and lists Apple’s Israel-based PrimeSense engineers Alexander Shpunt and Raviv Erlich as its inventors.